In our last post we discussed how to manage lead notifications, the dashboard and how to edit lists in our CRM software. 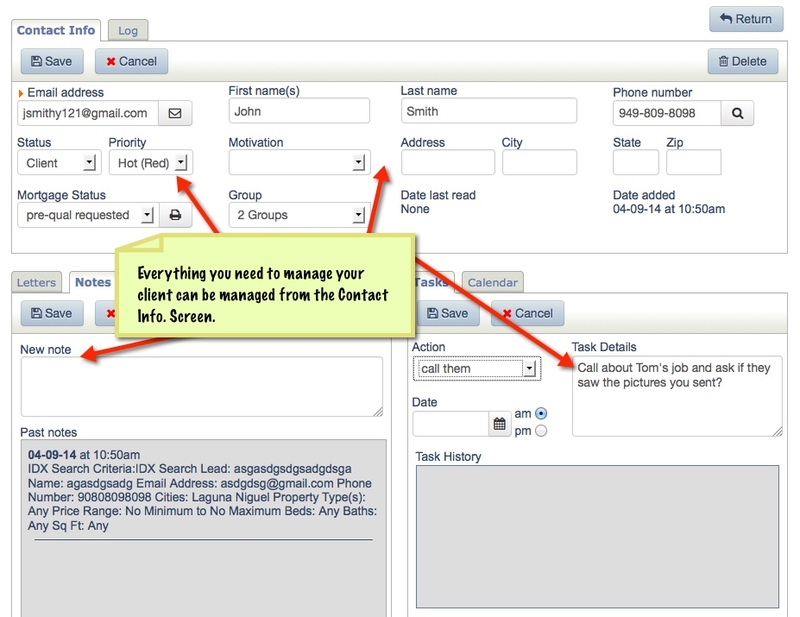 This post is about how to edit fields, make notes, create sortable filters and assign tasks and calendar dates to your prospects. 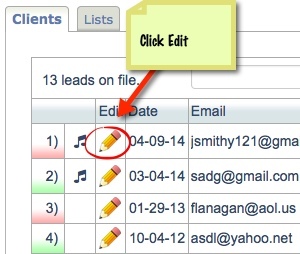 Edit the Lead or Prospect record by clicking on the "edit pencil" and you will see the entire client dashboard and how to edit them in many different ways. Status is a good field to edit in the software to show which stage of the buying or selling process they are in. 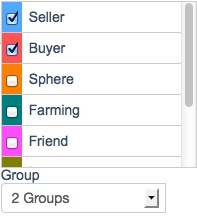 Priority should be used in our CRM so that you can filter by the most important so we've color coded the priorities. Don't change the order of them, but feel free to change what they are named (for instance change (HOT) to VIP or Client...etc.). Motivation is where you determine their level of readiness to buy a home. What "life change" are they going through? 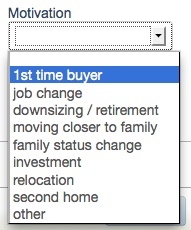 Let's face it, people only do Real Estate if they have a now reason...what are some of the common "motivations"? Mortgage Status applies if you've requested a pre-qual from your lender in our system and have letters generated or if you just want to track what stage in the process the customer is in. Groups are helpful in determining filters so you can easily sort your database and find all your "buyers" for instance or all your potential "sellers"...etc. 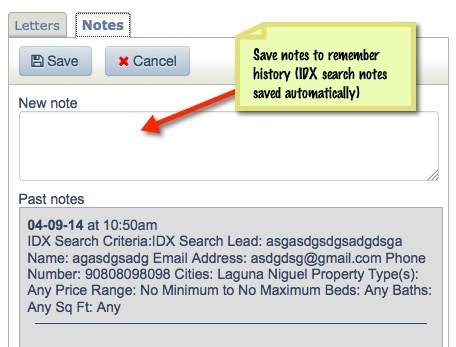 Notes are imported automatically from the IDX or Squeeze Page Capture and you can make as many notes as you wish to remember the client history. 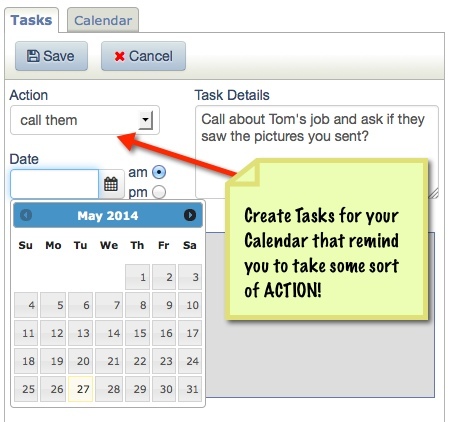 Creating Tasks is really easy in our CRM Software for Real Estate and you manage them from the Calendar on your home screen. It is important to make sure to never let a lead in the system exist without a next Action date. Even past customers should be set for a future call and future touch points to maximize referrals and assure that they will use you in the future.